Discover the life and curiosities of the most famous writers, their dark stories, secrets, enmities, murders … strolling through the streets that today have become one of the most important neighborhoods of the city, for its theaters, bars and romanticism. Visit the house of Lope de Vega and Cervantes, the birthplace of Don Quixote. Discover also the Madrid of the Bourbons. 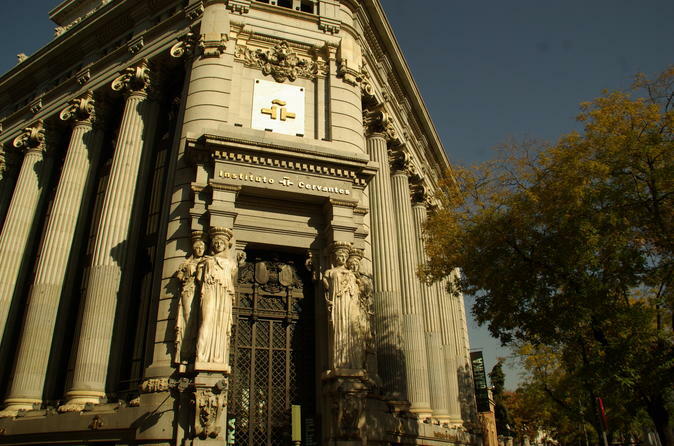 In short, a unique cultural experience that you can not miss if you are visiting Madrid. Looks your guides with YELLOW SHIRT AND UMBRELLAS!